We aim to reach an agreement between both parties and help each to move forward with a consent order that is mutually agreed for their financial futures. Contact us today! One of the most important things about the divorce process is what is known as the consent order. The consent order is a formal document which allows you to reach agreement on financial details and matters concerning the divorce. A verbal, or otherwise written, agreement is not sufficient. Only the consent order has the full legal status which is able to give you peace of mind concerning the financial considerations for your divorce. Consent orders should be presented to the court in a specified legal format but need not be completed by a solicitor. This does not mean that you can complete consent orders by yourself and you should always get legal advice before doing so. In this guide, we summarise what you need to know about consent orders and the process of obtaining a consent order. • These are formal agreements in writing between you and your ex-partner. • Verbal agreements do not amount to a consent order. • Consent orders are written but they must be produced in a specific legal format. • Consent orders include details about a series of financial matters. These may include matters related to housing, pensions, loans, and other financial instruments. • Consent orders are not appropriate, and should not be used, for non-financial considerations such as child access and other related matters. • Consent orders are voluntary and should be arrived at by mutual agreement. This is important, as it relates to the specific legal status of the order. • Consent orders usually include details of property and how this should be divided, or otherwise treated. • Shares, pensions and savings should also be included in the financial details of the consent orders. • Child maintenance is one matter relating to children that should be covered by a consent order. • Savings should be included and a fair assessment should be made of the value of savings. • Sometimes, spousal maintenance is included in a consent order, particularly if there are significant salary differentials between the partners. • Inheritance must be included in a consent order. • If there are no payments on a monthly basis (other than child maintenance) then you can try to apply for a clean break consent order. • Clean break consent orders, as there name implies, are easier to produce and are generally looked upon favourably by the courts. • It is always up to the court to agree a consent order, whether it is a clean break order, or another type. The process of obtaining a consent order involves mutual agreement between parties. This may involve a period of mediation. Legal advice should be taken in this process. Only a judge can agree a consent order. • Solicitors do not have to produce a consent order but the overall form of the order needs to be understood and accepted by the court. • You must take legal advice before agreeing on a consent order. • Consent orders must bear the signature of each party. • It is only a judge, in a family court, who can approve a consent order. • Writing a consent order requires a high level of legal skill. You can not produce your own consent order. It will not be recognised by the court. • Different types of court can act to enforce the consent order. • Self produced consent orders have no legal status and are not binding. • The words used in a consent order are of particular importance and that is why legal advice is most pertinent. • A consent order is necessary in the divorce process. • Property and asset division is part of the consent order procedure. • You do not have to consider a consent order in a number of rare situations. If there are no assets or liabilities a consent order is obviously not necessary. • Divorcing partners may think that an informal agreement is as good as a written consent order. This is not necessarily the case as verbal agreements, or even an informally written agreement, may not hold over time. Things can change in relationships and this may alter the original terms on which the agreement was made. • A consent order can include a number of considerations. Primarily, it is about he financial matters of a divorce but it can also include other things. The division of assets between parties, forms of maintenance (child or spousal) can be included, the division or disposal of property, pension sharing and arrangements and the appropriation of shares and share dividends – all of these factors can be included in the consent order. Obviously, circumstances differ substantively between divorcing couples. Considerations such as property, maintenance and savings will differ from couple to couple. This section deals with differences in your personal circumstances and how this can impact upon consent orders. • Child residency considerations are not covered in a consent order. Nor do consent orders cover child contact. However, child maintenance is covered in a consent order. • Only financial matters related to children can be covered. • If your circumstances change and you want to change a consent order you need to reach a mutual agreement. In very rare cases a judge can overturn a consent order. This can only happen in cases where the consent order can be overturned. • Dishonesty, or in simple terms lying about financial affairs, can mean that the consent order is overturned. • If an unexpected event occurs, that was not included in the original order, then the order may be overturned. However, this is not an automatic process. • If force or coercion was used then the consent order can be rejected and it may be overturned. • As consent orders are almost set in stone, it is very important that you obtain legal advice before you obtain an order of this type. • You can not complete a consent order alone. You must mutually agree the order with your ex-partner. 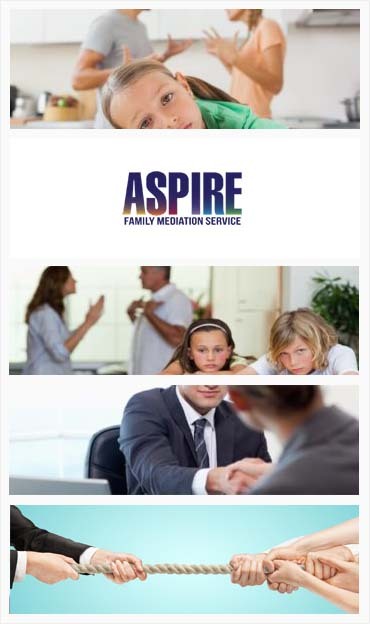 • If a consent order can not be agreed upon then we would suggest that you consider mediation. • If mediation fails you can then apply to court. • We would always advise you to negotiate with your ex-partner when possible. The legal process around a consent order may sound complicated but in practice the considerations that the judge will look at are very clear and reasonable. A court will attempt to consider whether the arrangements are fair and reasonable. This does not just cover the divorcing parties, but it also covers children. A judge will also consider whether there was any force, or duress employed and will check the accuracy of the statement. The judge will weigh up various considerations in making their decision. • If the judge has further questions then the court will contact you to ask for it. • In some cases the judge will convene a court hearing if there is more to be known about the case. • A consent order is not suitable if you are not intending to get divorced. • A separation agreement is the alternative if you are not intending to get divorced. It must be noted that a separation agreement does not have the legal status of a consent agreement. • A separation agreement is a lesser document than a consent order with respect to its legal status. • Separation agreements can include financial considerations. • A separation agreement is better than no agreement at all, and we would advise separating couples to look into this. Judges will sometimes look at separation agreements when reaching a decision. • If a party does not sign the consent order then we would advise mediation. • If a party tries to back out of a well constructed consent order then a judge can act to ‘seal’ the order. • Once agreement is reached in front of a judge the parties can not go back on this. • There is no typical consent order. As stated above, consent orders are written to suit your particular circumstances. However, we can supply copies of the sort of consent orders that we can produce for you. As we have shown in the above guide, the consent order is a necessary part of obtaining a settlement that protects your financial interests. As a mutually agreed document, the consent order is a valuable piece of information that is considered by the court. Without the consent order your financial status may be at risk. Informal agreements, even if they are written, do not have the same legal status as a consent order. There are only a few, very limited, circumstances, which could cause a judge to overturn a consent order. You should therefore realise that once signed it is very difficult to retract a consent order. We will make the process transparent and offer a friendly, reliable service. Please get in touch with us to discuss obtaining a consent order. You can discuss any aspect of consent orders with our trained legal advisors – no matter how complex or intractable your circumstances. We aim to reach an agreement between both parties and help each to move forward with a consent order that is mutually agreed for their financial futures.